The theatre was founded by puppeteer Eugene Lambert in 1972. Eugene Lambert, pictured with Judge in 2007. THE LAMBERT PUPPET Theatre, home to iconic Irish children’s characters like Judge and Mr Crow, is to close its doors. Liam Lambert, the current director of the theatre and son of founder Eugene, confirmed the decision to sell the venue to RTÉ’s Morning Ireland. The theatre and museum in Monkstown, south Dublin, was almost destroyed by a fire in 2015 – with the museum and studios bearing the brunt of the damage. Lambert said the crash of 2008 had also affected the company badly, and that it had never really recovered. The decision to sell the venue was extremely difficult, he told RTÉ. When the recession struck, he said, “we were hit straight away”. Our demographic for the theatre, being people with young children, were the first hit and hit hard – and 60% of our turnover would have been with school tours and in the first year that was cut in half. 300 puppets had been lost in the 2015 fire, he said, adding that the blaze was an “enormous blow”. You keep on going and keep on going and you do realise there’s a point where you have to stop. Eugene Lambert founded the family theatre in 1972, and until recently the venue played host to regular puppet performances – including a production of Sleeping Beauty. It’s hoped the business can continue as a touring company. A ruined puppet in the aftermath of the fire. Eugene is best remembered for playing the character of O’Brien in the long-running children’s TV show Wanderly Wagon in which characters like Judge, Mr Crow and Sneaky Snake appeared. Judge went on to become the star of a series of road safety ads for children, promoting the Safe Cross Code. Paula Lambert, a sister of Liam, voices another of the family’s best known creations, Bosco, who is embarking on a national tour over the coming months. 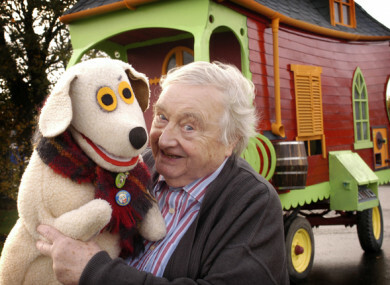 Email “End of an era for iconic children's characters as Lambert Puppet Theatre to close ”. Feedback on “End of an era for iconic children's characters as Lambert Puppet Theatre to close ”.